Interior remodeling, an exterior facelift, landscaping and interior design transformed this once outdated and cramped home. 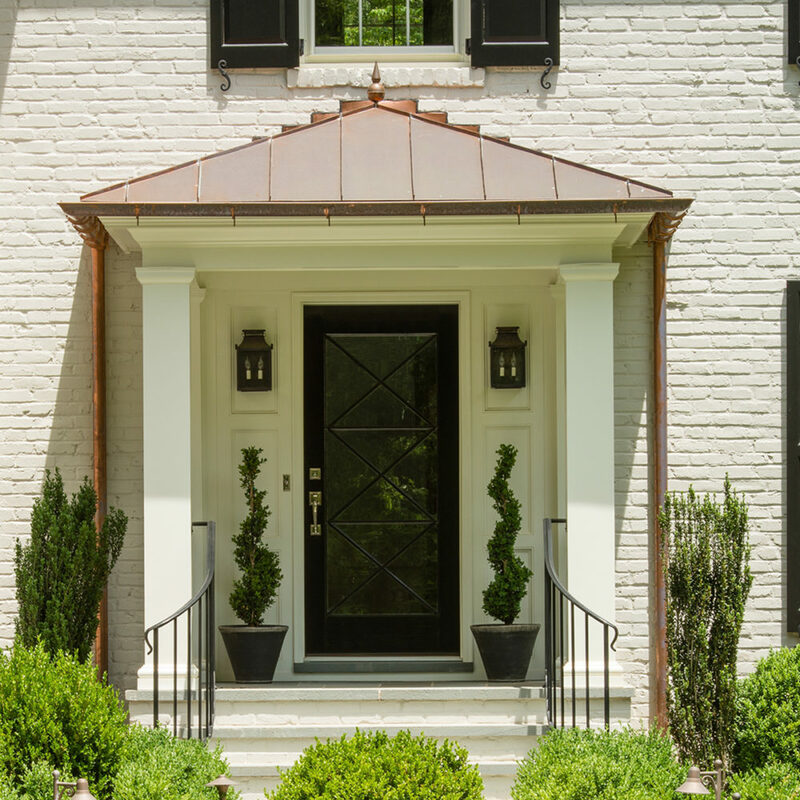 Wider openings create connections and enhance traffic flow between key entertaining spaces and the exterior. A classic two-toned, accented LaCanche Range was imported from France and serves as a focal point in the kitchen. 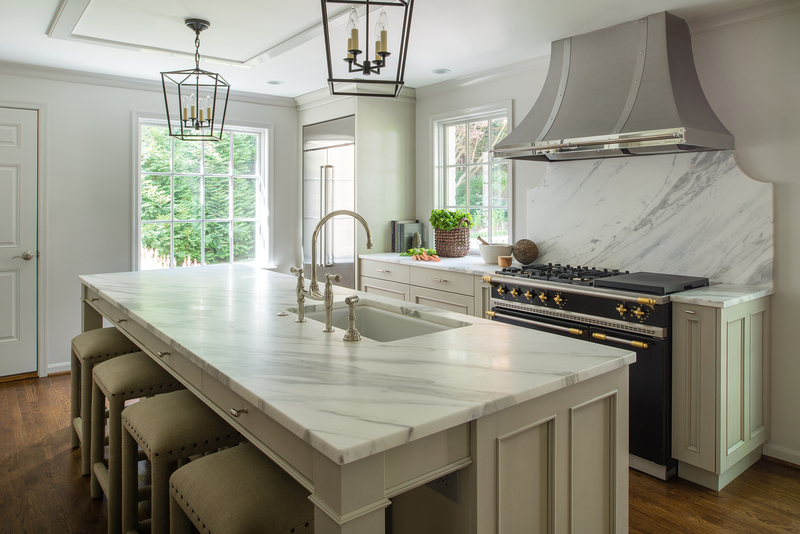 Honed marble countertops are reminiscent of trips to Europe where the client drew inspiration from farmhouse kitchens in the valleys of France. Soft hues and a muted color palette flow throughout the house and provide a neutral canvas against which accent pieces shine. 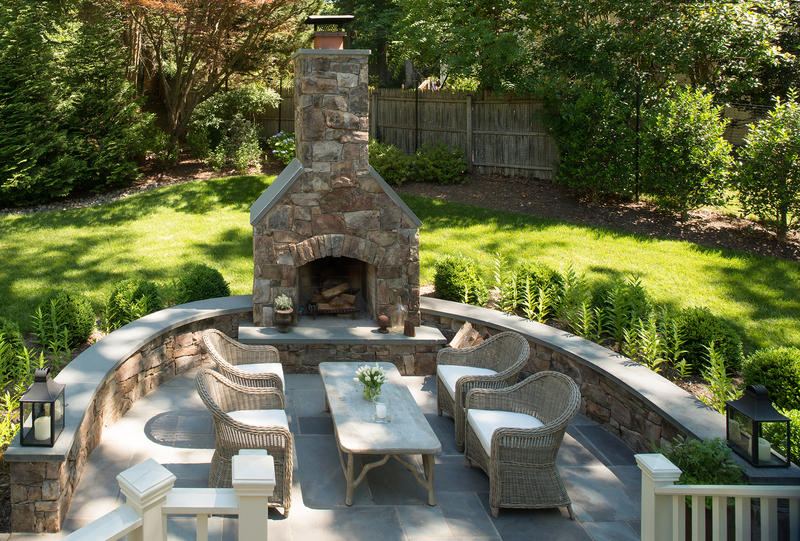 The backyard was transformed into an entertaining area complete with a stone outdoor fireplace, a seating area and a dining area. The once outdated façade is now sophisticated, inviting and polished.